The Atomyc 2 has been completely redesigned for an improved fit and performance. 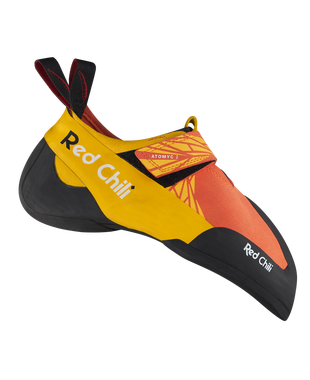 They have a slipper entry making them easy to take on and off between climbs, along with a velcro strap to secure the shoe on your foot so they wont come off during strenuous heal hooks. The heel has a large rubber component which gives you extra friction for those slippery heel hooks. 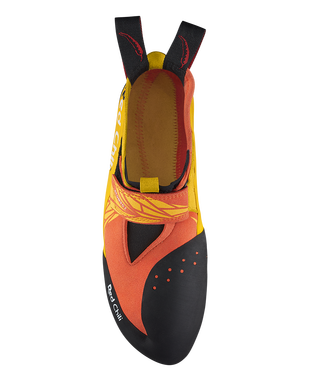 The sole on the Atomyc 2 is made from VIBRAM XS grip and along with an extremely soft, pre-tensioned midsole making this shoe very precise and a secure grip on slippery footholds. This two-part sole structure adds to the shoe's flexibility making it great for smearing and steep climbing. The upper is made from low-stretch microfibre material for reduced stretch and the sole is made from leather for a comfortable fit.